You are finally ready to add dimension and texture to your walls! You have found the perfect textile to display as wall art… but how to go about hanging it? Nothing says college dorm quite like push pins and thumbtacks. Don’t despair! Here are 3 easy hanging systems to display your textile like a pro. Art in a Pinch is a Minnesota based company that specializes in quilt and rug wall hangers. The finish and size of the hanger is customizable and this product is sturdy enough to support even a heavy rug. Additionally, the rail and knob system is designed to tightly secure but NOT puncture your textile. Best of all? 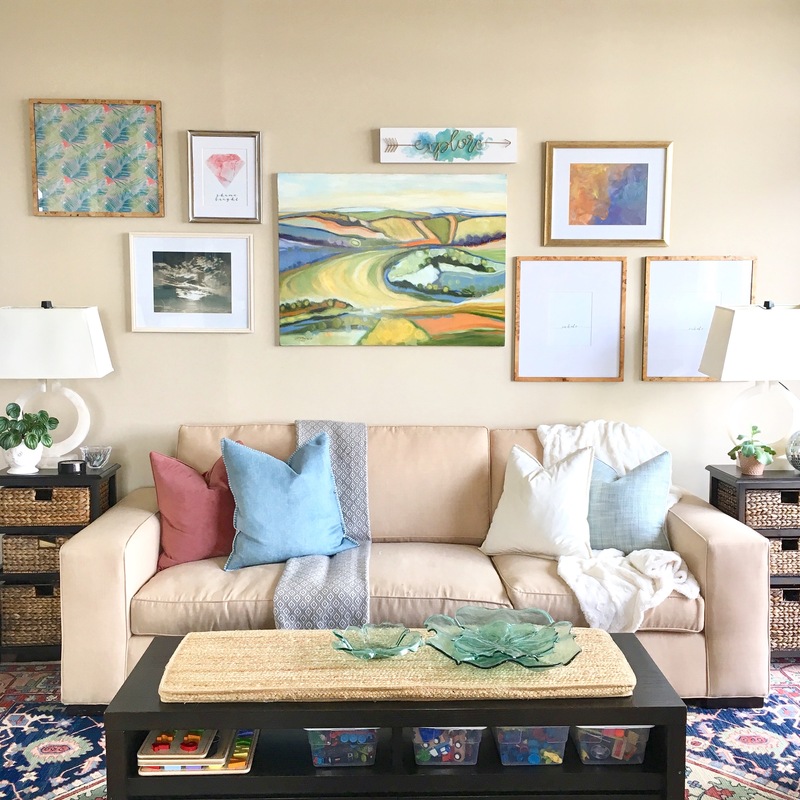 The Art in a Pinch website breaks down all the details: from choosing the right size hanger to recommending the ideal hanging hardware. I first discovered this option on Instagram via @kismet_house, which is one of my favorite sources of inspiration for a cozy, yet contemporary design aesthetic. It turns out that Morrow Soft Goods, a Los Angeles based specialty textile company, offers this sleek and modern (and reasonably priced!) hanging system. According to its website, the company “partnered with…talented furniture designer Chris Earl to create a beautiful way of displaying our unique throws as wall art.” This blanket hanger has you drape the fabric over the lower rail. How simple is that? Handcrafted of sold American walnut with brass detailing, this option costs $299. This wooden quilt hanger is for sale on Crate and Barrel’s website for $49!! It is another pinch system (like the first option) that is specifically designed to display crib quilts. I love this idea! Baby crib quilts can be so intricate and beautiful. Why not hang them on the wall of your nursery and use them as wall art? This hanger has a clean and contemporary design and would work for any textile that is 40 in. wide (or less). There you have it! 3 hanging systems to display your textile like a pro! Have a textile that needs hanging? Contact me to get started on your next project today!